TotalSim are pleased to be sponsoring Stage 2 of the OVO Energy Women’s Tour when it arrives in Northamptonshire on Thursday 14th June. 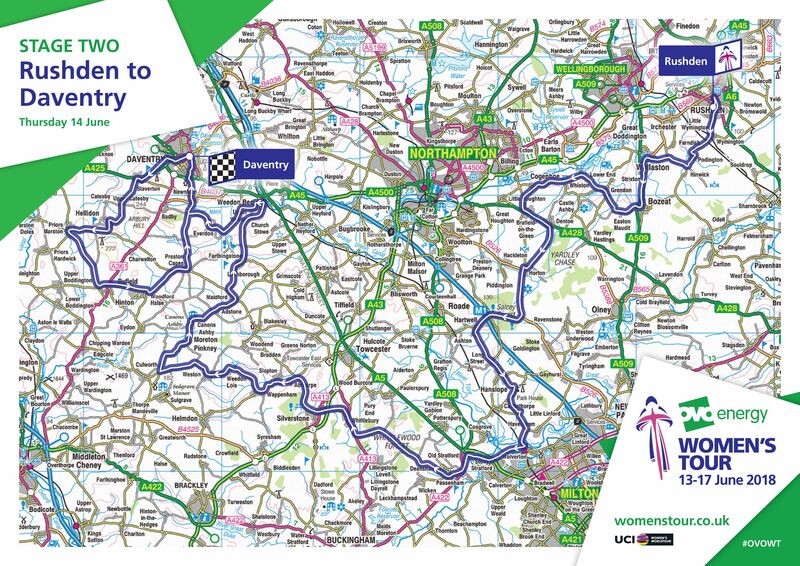 The Northamptonshire stage will start in Rushden and finish in Daventry, with cyclists racing 145km across the county. Riders will pass through the historic market town of Daventry twice during this stage as part of a challenging finishing circuit that will also see the peloton tackle the notoriously steep Newnham Hill on two occasions. TotalSim are looking forward to attending the event in Daventry and supporting the riders with our TotalSim sponsored “clappers”.